France in London | How to pay less tax for your company in England? 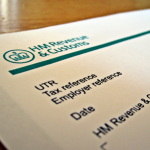 How to pay less tax for your company in England? If you buy goods for your professional activity, you cannot deduct depreciation. However, you might be able to deduct what is called 'capital allowance'. Tools, machines, office equipment, computers, pieces of machinery and factory equipment can be deducted from your tax. Buying such equipment allows a 100% tax deduction from the first year. You can deduct up to £200,000, which means that for instance if you decide to change your company's computer system and that the purchase of the equipment costs £200,000, the whole of the investment can be deductible in the first year. You can employ a member of your family who does not receive other income and pay him or her a wage under which he or she does not need to pay tax (under £11,000). He or she will be able to do some administrative work for your company. The most effective combination for directors is to receive an annual wage of £11,000, and the rest in dividends. You can deduct some expenses that took place before your company was incorporated. They can have been made for up to 7 years before, but can only be deducted if you have kept the invoices or receipts. Well yes, Pay less tax. This is called a legal loophole and it stinks. I am ashamed to read this.